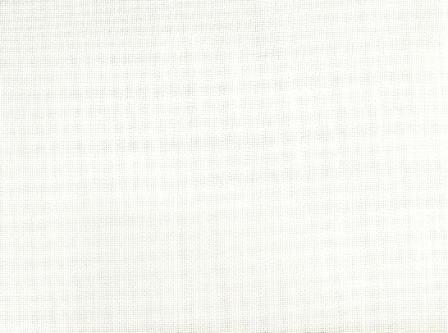 Our French Voile fabric provides a luxurious translucent view, while softening incoming sunlight. 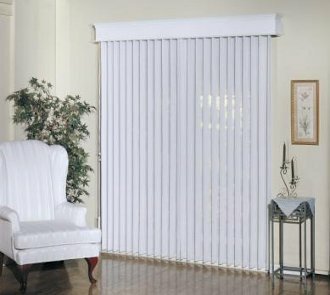 BlindsMadeinUSA.com Sheer Verticals are a great alternative to Vinyl or Fabric Vertical Blinds. 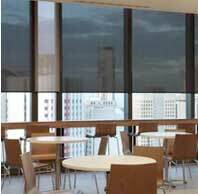 Offering the same form, function and privacy with added elegance of fine sheer fabrics. 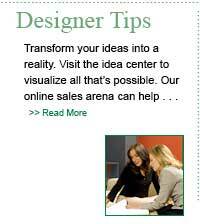 See this sales sheet and installation instructions for images and details. 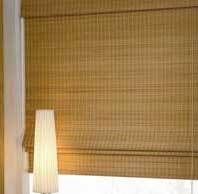 Seamless Sheer Fabric snaps onto flat 3 1/2" PVC vertical vanes for a flawless look of find sheer draperies with the same form and functionality of a traditional vertical blind. One Way or Split Draw options. Fabric covered beaded tilt chain. 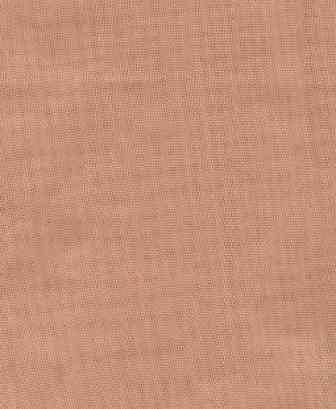 Manufacturer matches PVC color to your Fabric choice. 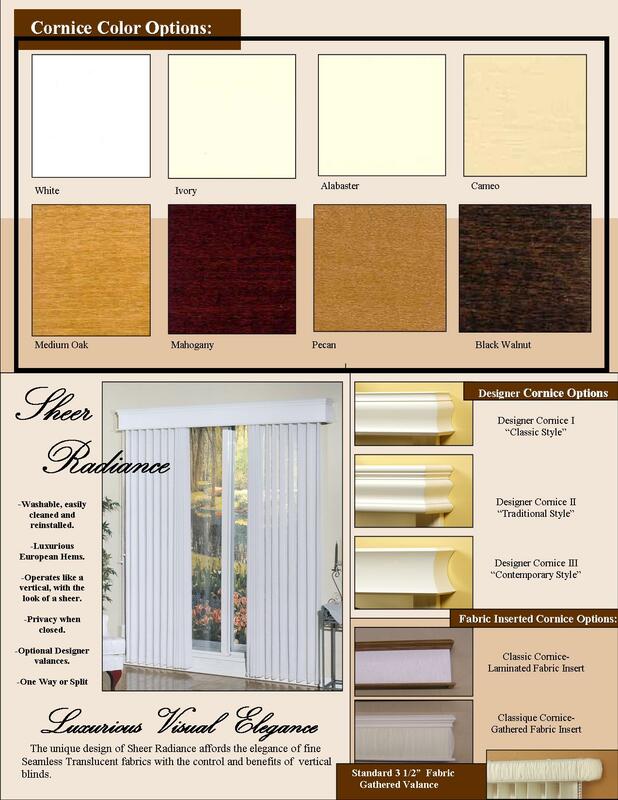 Multiple Cornice and Valance options available. 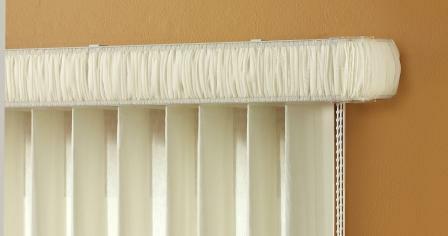 This product does not come automatically with any valance or Cornice. 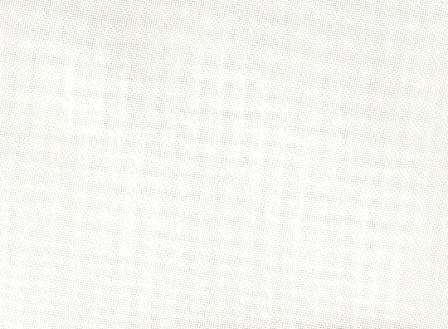 Rolled bottom hem is standard on a Sheer Vertical however a 4" Drapery hem is available. Remove the sheer by simply unsnapping the top of the sheer and removing the bottom of the vanes from the "pocket" that is naturally formed from the sheer material. Your PVC vanes will remain installed so you are not without a window treatment while you clean the sheer. The sheer can then be thrown in the washer on a delicate cycle, remove once spin cycle stops and reattach the sheer. For complete care instructions see installation instructions. 3 1/2 Dustcover Valance with a Gathered fabric Insert. 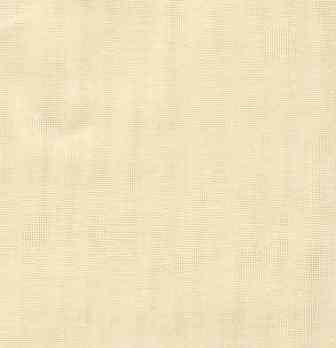 5 1/2" Classique Cornice painted white or ivory with a Laminated Fabric Insert. 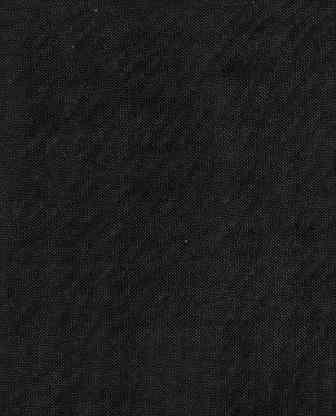 Folded 4" Double Drapery Hem available. 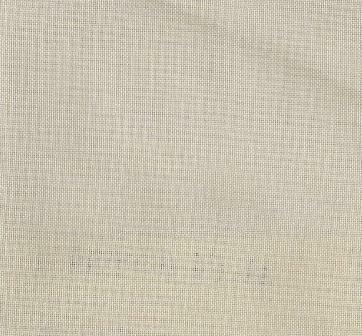 Standard bottom "hem" for the sheer is a European rolled, weighted hem. 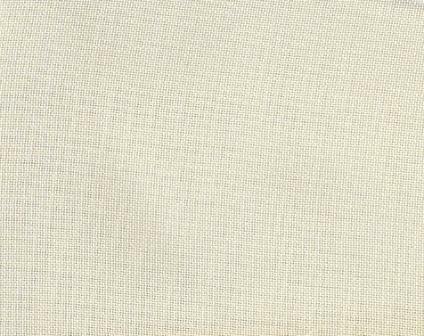 If you prefer the more traditional look of draperies you may want to request the 4" folded drapery hem to finish the bottom of your sheer. Split Draw-half vanes stack on left and half of the vanes will stack on the right when the vanes are stacked back into the "open" position. 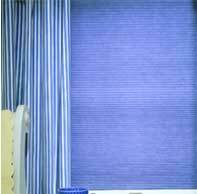 Vertical Blinds are traditionally mounted on the outside of the window either on the window frame or on the wall. Outside mounting will prevent light gap on the control end of the vertical headrail which is in enevitable with any vertical product. 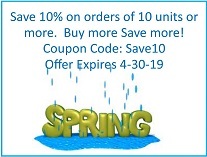 Outside Mount:: Minimum Mounting Surface height of 1 1/2"
Inside Mount: Minimum Depth of 2"
Flush Inside Mount: Depth of 6"
Inside Mount: Factory will take standard deduction of 1/4" off of overall width and 1/2" off of overall length of product. 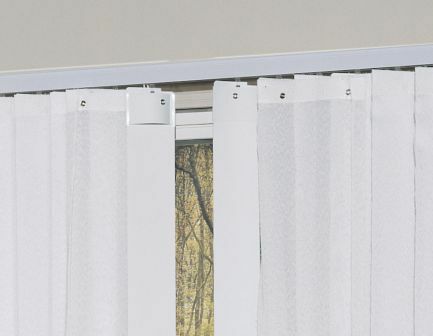 Your vanes will measure less then overall length, so once the vanes are attached to the headrail, the entire product including headrail will fit inside the window with enough clearance so it does not drag on bottom of window casement. 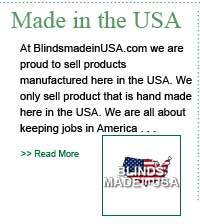 Outside Mount: Factory will not take any deduction off of overall width or length. Your vanes will measure less then overall ordered length so once they are attached to the headrail the length of the blind from the top of the headrail to the bottom of the vane will equal ordered length. 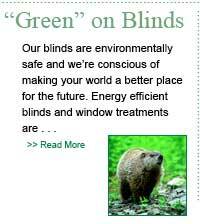 Outside mount valances will have returns of 6 1/2". 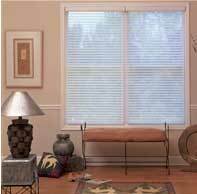 Inside mount valances do not have returns unless requested at time of order. 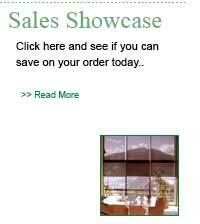 If you like this product you should look at Sheer Shadings. Horizontal slats float between two pieces of sheer material to provide the look at feel of complete elegance to fit any decor`.